Although it seems banal, whether it is justifiable for vegans to consume honey is quite an interesting topic. Evaluating if this is the case requires one to analyze the roles that one plays when it comes to animal agriculture as a consumer or harvester, the stark differences between mass and local production, and the dilemma of consequentialist versus deontological veganism! These lines of thinking connect with many other topics in the vegan world that need mindful, ethically scrupulous consideration, which is why this is important. It is a great example of the nuance involved in determining if something is ethically justifiable or not because the argument can go either way depending on one’s foundational approach. This article will outline the process of procuring honey, assess the ethics from the roles of honey harvesters and consumers, judge whether or not this can be justified ethically. I want to consider if it’s justifiable because I don’t want to suggest if it’s ethical or unethical, I merely want to see if consuming it can be justified by vegans. It needs to be concretely justified because strictly-speaking, consuming honey is not vegan. But if there are positive reasons why it is okay then it might be okay–we ought to at least be open to this possibility as reasoned vegans. What makes it not vegan? It is fundamentally about stealing the honey they make for them just for our own use. The bees are coerced into vacating their hive, which allows beekeepers to procure the honey. In order to harvest the honey, the bees have to be repelled with smoke. It capitalizes on a bee’s natural process, especially to the scaled-up, corporatized extent we see today. These two actions are important to consider separately because they are ethically different. Consumption, i.e. purchasing and/or using honey, has different ethical implications attached than harvesting it does. For example, consuming honey means more will be purchased, which means more will need to be harvested; moreover, there would be no honey market if it weren’t for people and businesses harvesting and selling the bees’ honey. So, given that the acts of harvesting and consuming honey is not vegan, how do vegans justify this action? Mike, another writer here, consumes honey and he asserts that local honey is ethically permissible if the harvester is conscious of health of the bees and the environment. This justification seems rational and worth consideration. It is something that I cannot argue with in terms of consequentialism, which is his foundational approach. Local honey is categorically different than honey produced by large companies, which has completely different methods of procurement, environmental impact and health profiles. For one thing, honey produced by large companies and grocers is usually pasteurized (i.e. heating up honey to change its appearance and composition), which removes the nutrients and extends shelf-life so crystallization doesn’t occur. Local honey, on the other hand, has many nutrients that are helpful in multiple ways, such as fighting seasonal allergies, indigestion, and muscle cramps. More than just the nutritional benefits, the differences in the treatment of the bees and the intentions of the harvester are remarkable. Whereas local beekeepers tend have their interests in colony happiness and sustainable production, large companies tend to have interests in maximized production and profit. Mass production involves hundreds to thousands of hives that require antibiotics and pesticides to control the spread of disease. Bee colonies are transported from garden to garden just to pollinate one crop in need of production (i.e. monoculturing) and the bees are kept from hibernating. Companies are more likely to clip the queens’ wings so the colony cannot leave. They also steal excess honey to get the most they can, which requires the use of sugar syrup to feed the bees and is poor for their health. In fact, these practices are directly relatable to the oft-discussed Colony Collapse Disorder (CCD). This is especially a problem because the declination in honeybee populations jeopardizes 1/3 of our national food supply. Intriguingly, it is also a positive point in support of local beekeeping because it promotes bee population growth and the sustenance of invaluable ecosystems. Despite the mindset and intention of companies versus local farmers, harvesting honey is the thorniest part of this entire phenomenon. The problems arise particularly from how the honey is procured. To retrieve the honey from the Langstroth Hive (the ubiquitous model used to contain the hives) the bees must be repelled with smoke. The smoke doesn’t hurt them, per se, but it tricks the guard bees into thinking there is a fire or some other threat that they should retreat from. The real benefit of smoking comes from the fact that the smoke itself prevents them from sending signals for the other bees to attack the intruder (i.e. the beekeeper). So that was all about the implications of honey harvesting, but what selling and purchasing honey? What are the ethics of subjugating the bees’ honey, and even the bees themselves, to market forces. Selling and purchasing honey seems justifiable to me if it propagates the local market rather than the scaled-up corporations. If one is convinced that consuming honey is justifiable, of course it would be preferable to patronize a local beekeeper rather than one that perpetuates the industrialized practices that lead to so many problems. The money they make will incentivize them to continue their work, which means the propagation of more hives and the good that comes with that. It might be the case that a honey market isn’t unethical, per se, just that today’s profligacy is unacceptable – I think that is important to be mindful of. In a large way, this is similar to the meat and dairy industries: today’s machinations, in particular, are simply unacceptable. Finally, what about consumption? The main idea is that consumption contributes to the need to purchase honey which contributes to its production. This is another part of the honey-issue that can be justified if the honey being eaten is locally sourced. That one simple fact makes the ethical difference, because at least the market being propagated and perpetuated is a local and sustainable one. Additionally, one can justify consuming locally sourced honey because of the health benefits and the fact that it is conscientiously procured. This isn’t just a euphemism as it is with “happy meat”, locally produced honey is procured in a way that preserves the hive population, doesn’t excessively take the bees’ honey, and contributes to the broader food system and ecology. The locally sourced regime seems like a supportable model of honey production and consumption, a harmony between humans and the bees that may be worthwhile to some. I should point out that the case for local honey isn’t super-strong. It does meet the criteria of being ethically dubious because it inherently involves stealing and capitalizing on their biology. Furthermore, while the health benefits are pretty convincing, there are also risks associated with locally-sourced honey if one isn’t careful. 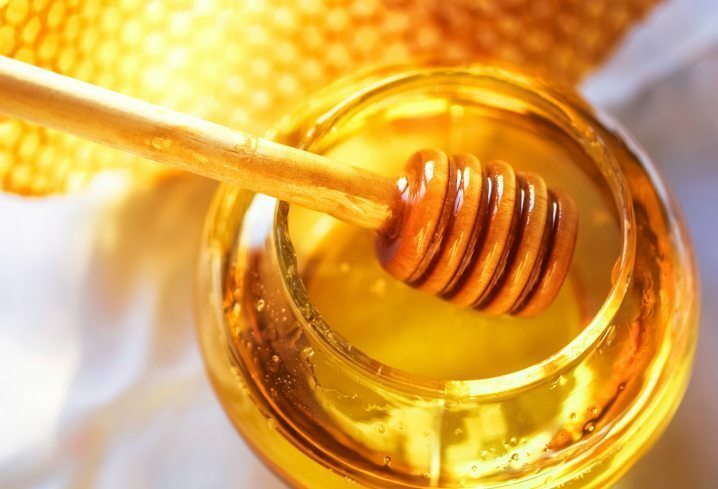 Namely, there is bacteria and pollen in local honey that would typically be filtered out through pasteurization, some of which have been reported to cause botulism in pregnant women and low blood pressure. The most compelling mark against it for me, however, is the fact that it seems the goodness of local beekeeping has more to do with the beekeeping itself than it does with the harvesting, selling, and consumption of honey. The population preservation and ecological effects are separate from the process of using honey, which seems to me like a convenient and secondary benefit. But maybe it isn’t. Maybe some beekeepers need the incentive of money to keep their bees, maybe it’s enough of them to make their role matter in the way we can solve the endangerment of bee species across the world. That question is best answered by you, the reader, and each person on their own. The argument can be made for any decision, it’s just a matter of one’s ethical compass. All of those words and facts didn’t really bring us closer to a conclusion about whether it is ethically justifiable for vegans, all they did was suggest that a justification can be made. Again, what I really want to know is if one can pose a serious explanation for why their use of honey is morally excusable. Unfortunately, but unsurprisingly, this question really can’t be answered, per se, because the answer is both deeply personal and philosophical. This is common with many dilemmas: Given all of the facts and arguments, they cannot determine what one should choose to do, that is rather determined by oneself and guided by one’s thinking. This is the ultimate question of what matters more, the principle or the practical? The principle is obvious and facile, using honey is simply not vegan. But this kind of thinking can be limited and irrational, especially if it does help propagate bee populations to counter CCD – that is the practical. Do the practical effects of promoting sustainable bee growth and stifling mass production practices outweigh the principle that it is simply not vegan? Are the methods by which we harvest honey negligible in terms of bee well-being and colony health? Mike will probably answer these questions by saying “Yes, those practical effects do outweigh the principle and the effects of harvesting on bees is negligible.”, and he isn’t quite wrong. The evidence for those claims is apparent, really it’s just a matter of how he feels about the bee well-being and colony health because harvesting may not be negligible to other vegans. I choose not to purchase or consume honey because of the typical vegan reasons. Honey inherently means theft, coercion, and capitalization, and I do not support those things unnecessarily. Agave nectar is a great substitute for honey that doesn’t involve theft or coercion, and the bees will keep more of their honey to thrive on. And like I said in the previous paragraph, if the goodness exists because of beekeeping itself, then using honey is ancillary and a little selfish. Despite my personal opinion on using honey, I believe ultimately that this is something that can be justified but only in a narrow way. To make it ethically justifiable, it has to be purchased on a local, small-scale level and presumably, no bees would’ve been harmed and no excess honey would have been taken. I think this is all a reasonable set of criteria given the implications I outlined above, so it may be worthwhile to some vegans. All in all, if the calculus is about reducing harm, maximizing fairness and compassion, and improving the state of the planet, that is a good thing. Honey is not a subject where people should be shut-out from the vegan label and criticized, it is a subject that involves consideration, understanding, and discussion. I want to know how you, the reader, feel about this, too. I am intrigued by topics like this, where there argument can be made both for and against something. It’s up to us to give credit for a choice where credit might be due, we can at least begin by discussing these ideas and reconciling them with a compassionate vegan lifestyle. Kind of tough to believe there are still “vegans” out there buying & eating honey. My mother loooves the stuff and has her whole life, but she didn’t know it wasn’t vegan until the other day when I told her, and was actually a bit horrified when I explained the process of honey manufacturing (aka bees vomiting lol). It just goes to show that we really are so sheltered from the reality of what our “foods” really are and how they’re made. My goodness! I apologize for not seeing this at the time you sent it! Thank you for enjoying this post and expressing your point. This was very fun to write and I’m glad you appreciated it. I am curious to know if you see any difference between local beekeeping practices and commercial practices. I mean I recognize the fact that there are differences in different types of practices if that’s what you’re asking; However, just like small scale farm products are not considered vegan just because they are “local” or whatever other label, technically there is no such thing as vegan honey, just because it comes from a place that’s small or local to you does not make it vegan given the fact that veganism means not exploiting animals for products as far as is possible and practical. Honey is an unnecessary animal product and therefore will never be vegan under any circumstances. As a hobbyist beekeeper I feel that by adding a new hive to my 85 acre farm, where there previously was no hive, I have propagated the honeybee population. My bees are very docile and in fact I can access their hive with minimal or almost no smoke. The honey I harvest (or steal as you suggest) is exccess honey they produce. I, as all hobby beekeepers do, am very careful not to injure a single bee. I leave them plenty of honey to maintain their population. I care for them as I would my dog. Therefore I believe harvesting this resource is no different than harvesting other resources that don’t inflict pain on an individual. Besides from a biological standpoint how is this different from taking a plant from a population of plants? Just because the plant can’t show it’s pain, as far as we can tell today, we are still exploiting one species for selfish reasons, or the benefit of ourselves. The fact is that we are consumers and require energy from a producer since we can’t make our own, such as by photosynthesis. This is no different than a wolf taking a deer, there is no right or wrong. What matters is your appreciation, respect and dignity that you have or show for the sacrifice the other species has endured for your benefit. All of nature is to be appreciated and respected it should not be percieved as good or bad. This is an ethnocentric vision that has no place in the natural world. The natural word is simply a transfer of energy from one to another for survival and procreation. I appreciate your comment. I think you seem to have found the harmony between you and your bees, where their freedom and safety are maximized and you only harvest small amounts of their excess honey for personal reasons. This is an example where the case can be made that beekeeping is a good thing, because you don’t harm the bees with smoke, you do not capitalize on their honey (which in itself doesn’t make beekeeping wrong), and you take small amounts honey. I’m really not against taking some honey from their excess if it’s done conscientiously, which you seem to be doing; but in the context of veganism, there are questions about if it’s justifiable. I used the word “steal” because in principle, it is stealing, but I don’t mean to suggest it’s immoral or bad. About your question of, other than the biological stuff, what the difference is between taking honey from bees and vegetation from plants. Well, for one thing, I think biological stuff is fundamental to understanding the difference. Bees have brains and nervous systems unlike plants, so they feel in a more visceral way. Also, taking vegetation is more necessary than taking honey, which can be substituted with agave nectar. If the good that bees serve is their pollination skills, then taking their honey is a secondary benefit unrelated to their pollination. Your last point about us being consumers is interesting, I have never seen it phrased like that. I agree that we all have to consume organisms, but I think as humans we can and should bend the rules. Like, humans don’t need to follow the rules of the wolf, because we’ve developed so much further than them. We have the ability to make moral choices when we make food or resource decisions, which you do by only taking a little honey as opposed to a lot. That kind of moral balancing is what makes us special and it should be the way we all consume. And I am not calling you immoral or making a moral judgment about you for your food choices. I sincerely commend how you treat your bees and their honey. Really glad to have come across this post. The issue of honey has been one that has been on my mind a lot, and has actually been one of my concerns about going full-on vegan. Thank you for writing this and going into the various sides of the issue. I definitely do find myself at first agreeing with the reasoning of buying only locally, but it also raises the question of how you can tell that those beekeepers are maintaining ethical practices in regards to harvesting honey from their bees. Anyways… a lot to think about! Thanks again for the post! If you want to be sure about how the bees are being treated by your local beekeeper, you can always ask questions about how they manage their colonies and procure the honey. Like, how many bees do they have and how many Langstroth Hive’s the bees live in? Do they use sugar syrup to substitute for the bees’ honey? Do the bees have open access to surrounding plants and flowers that they can pollinate? You’ll just have to evaluate their answers to see if you trust them or not. If you trust that they’re telling you the truth, then take that as a good thing. If you don’t trust them, then either find another beekeeper or buy agave nectar, which really is a good substitute for honey. Thanks for enjoying this post. It was great write and I’m glad you appreciated it. That’s a good point that it’s hard to truly know how the bees are treated by local beekeepers. It’s an important thing to keep in mind if you’re going to buy honey. As far as it being the one thing keeping you from full-on veganism, if it really is the only animal product you consume then I think that’s great! I believe that in itself, consuming locally sourced honey doesn’t mean you aren’t vegan. My biggest takeaway from the post was that, to the extent that there is a moral justification for consuming honey, the argument can go both ways for it against it. The strict of definitions of “veganism” matter, but also what makes veganism such an amazing choice is that it makes us think deeply about difficult subjects like this one. I think it’s not right to just classify honey consumption as not vegan; even if that is the case, it still deserves some analysis and consideration. You’re doing the right thing by thinking about it and what it means for you and veganism. Keep it going!